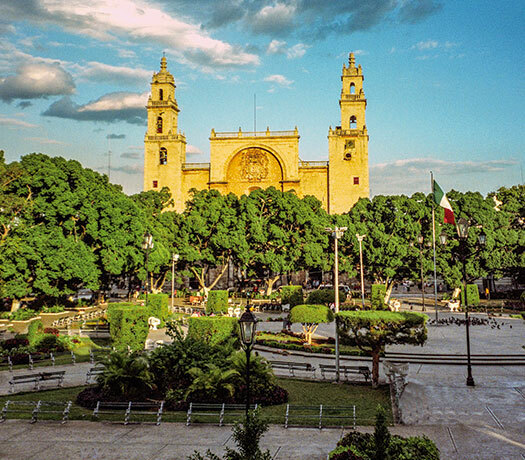 Known locally as "The White City", the majestic city of Merida is the capital of the state of Yucatan, and an exciting and fascinating tourist destination for all kinds of travelers. 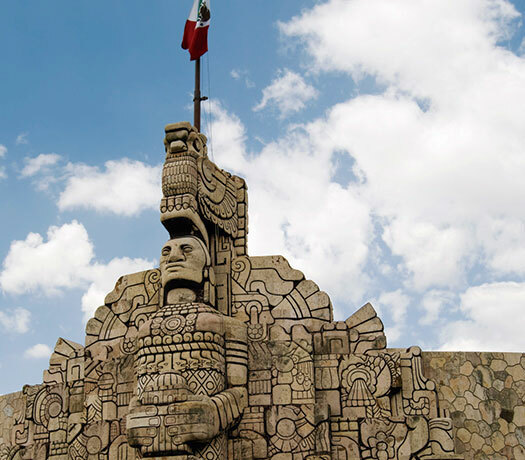 This traditional colonial city offers a delightful experience full of colors, aromas and the tastes of ancient Mexico, spiced up with a touch of modernity and a pinch of European sensibility. 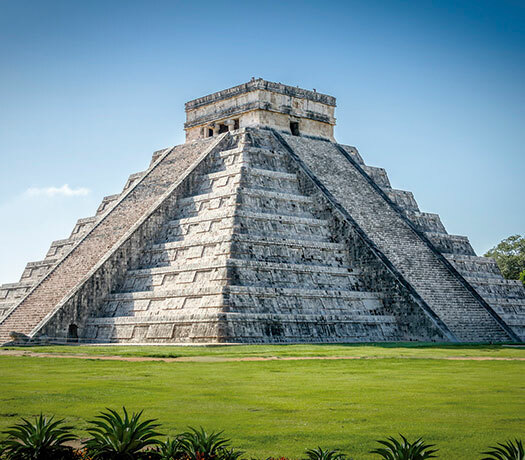 Merida is a gateway to the Mayan culture and an excellent starting point for people looking to visit important archaeological sites such as Chichen Itza, which is the largest in the area and was founded between 750 and 1200 AD; Uxmal, and Dzibilchaltun. Other fascinating attractions in the region include the caves of Lol-Tun and Balankanche, along with the charming towns of Izamal and Valladolid. At the caves and the larger archaeological sites like Chichen Itza and Uxmal, you can marvel at impressive Light and Sound shows that complement the beauty of these architectural marvels. Not everything in Merida is based around archeology and history; you can also appreciate music and folk dancing performances in local restaurants, theaters, parks and public courtyards, exceptional traditional dishes in the city's wide variety of eateries, and a walk along famous Paseo de Montejo, an enchanting avenue that resembles the Champs Elysees in Paris. Few places in the world can offer Merida's combination of rich history, natural beauty, exotic cuisine, and welcoming people. This is why Merida was declared World Heritage by UNESCO in 2000, the same year when the OAS (Organization of American States) granted it the title of American Capital of Culture. There are countless reasons to visit Merida, but the main ones are sampling delicious Yucatecan dishes, using it as a base to visit Uxmal, Chichen Itza and other Mayan archaeological sites, and to find out more about this fascinating culture. One of the main reasons to choose Merida to carry out your next work meeting, incentive trip or event, is the famous Mexican hospitality and the warm service we provide. Thanks to this, we have been able to consolidate a strong base of repeat visitors, who leave satisfied and eager to return to our destination again and again.